An ideal talk that supports the new 2015 Mutual theme! Humorous, engaging, and just makes sense. In Embark! 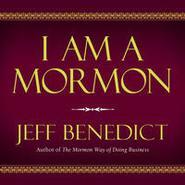 (Talk on CD), John Bytheway introduces the 2015 theme for the LDS Youth. And, of course, he does it in a way that's humorous, engaging, and just makes sense. He is great about sharing scriptures and doctrine as well as stories that happen to real people making it applicable to everyone. He is great at teaching the youth and even brings in a little technology at the beginning of this talk by having a little conversation with Siri. Bytheway takes the theme and scripture and really breaks it down for you so you understand it. He talks about what it means to actually embark and to serve others. 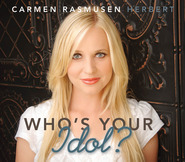 This CD is packed full of gems that you, your children, and the youth are going to love. John Bytheway is great at getting you motivated to EMBARK in the service of God. I loved listening to this religious/motivational CD. I sat down on a Sunday afternoon to listen to this CD. It was recorded while John Bytheway was addressing a group of teens. First thing that happened, my 15 year old son promptly came in and turned it off. It seems that I had it on too loud and was interrupting his activities. Hmmm.... As a mother of teenagers, I am always on the lookout for help to inspire my children to do better. I find that in the process I hear a message that I need. I am inspired to make changes in my life. I find that there is somethings that I can do better. "A big heart trumps big biceps. The Lord looks on the heart." "If you really want to do something - no one can stop you. If you really don't want to do something - no one can help you." John Bytheway also mentioned our personal prayers. How many times do we ask the Lord to help the sick, the needy, the sad? We are asking him to do something that we should be actively searching for. Often he needs US to be the means to help out others. Instead I should be praying to find someone that I can help. I know that this is a lesson that I have heard many times. It is something that I know. But hearing it again, sometimes in a different manner or wording brings home the point that I should be finding ways to help out other people. I think it is pretty profound. I found this CD to be of great value. My plan for my son who turned it off.... we will be taking a trip sometime in the near future that will take approximately 5 hours to get there. I look forward to listening to it on our way. It is full of humor while teaching a great message. I know that my son will enjoy it! John has done it again! LOVE! 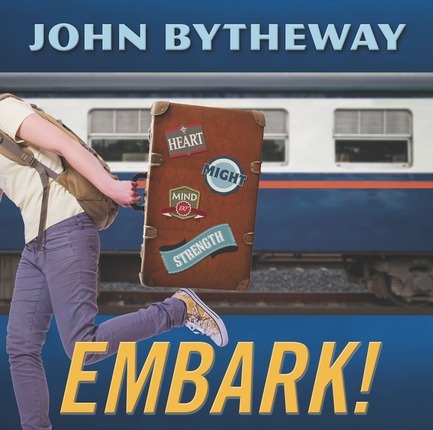 John Bytheway has always been such an inspiration to me and Embark is no exception. I was looking for the perfect theme for our New Beginnings and this is the perfect introduction to the 2015 YW/YM theme! Once again he has used the perfect amount of humor to hold the interest of the youth and still get to the heart of gospel truth. I love reading John Bytheway's books and it's even more fun to listen to him speak! The Mutual theme for 2015 is D&C 4:2, "Therefore, O ye that embark in the service of God, see that ye serve him with all your heart, might, mind and strength, that ye may stand blameless before God at the last day." This entire talk is based on that one verse. He starts by explaining what the word "embark" means and then goes on to explain what it means to serve God with all your heart, might, mind and strength. 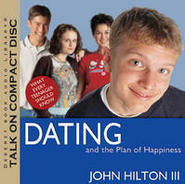 This CD is great for teens and adults alike! I loved his stories, quotes, scriptures, insights and humor. After listening to it, I feel more committed to serving with all my heart, might, mind and strength. 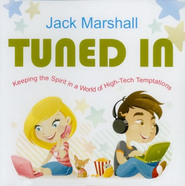 This is a CD I will share with my children and plan to listen to it multiple times! If you have teens, I highly recommend sharing this with them! Great motivational talk, it held my attention the entire time! I sat down to listen to this talk before Church one Sunday. Bytheway grabbed my attention from the beginning of his talk and held it raptly until the very end. At times I found myself laughing and at others I felt the Spirit so strongly! Most importantly, I felt motivated to get out and serve the Lord, to be who He wants me to be. Honestly I loved this talk so much that I suggested that the youth in our ward listen to it as a fireside! Whether you are an adult or a teen, age doesn't matter for this amazing motivational talk by Bytheway. His message is powerful and motivating for all who will take the time to listen! I've always enjoyed listening to John Bytheway. He is such an informative as well as entertaining speaker. 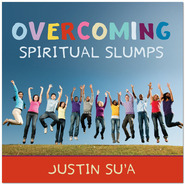 He manages to combine the spiritual message with humor in such a way that it is unforgettable. And this talk is no different. This talk focuses on the upcoming youth theme for 2015: Embark. He speaks first about what embark refers to and uses the analogy of getting on the gospel train throughout the rest of the talk. This creates a concrete image in the listener's mind. He goes on to discuss exactly what it means to embark by discussing service (whole-hearted service rather than half-hearted), following Christ, and staying on board once we get there. A wonderful collection of doctrines, quotes, stories, and humor that any teen or adult is bound to enjoy. Highly recommended. First, I love listening to John Bytheway. He is a gifted speaker and he brings energy and joy to his talks. I always leave inspired to do better and be better. John also knows how to bring humor at the right points and keep an audience engaged. Second, I heard John Bytheway deliver this talk in a church gathering for youth just this last week. I knew he was coming when I signed on for this blog tour and I knew I would want to share it. His live talk varied a little from this recording but overall, it was the same. Well, other than watching him live allowed me to see his visuals and watch his face as he spoke. It was awesome. I love popping these kinds of CD's in the car on longer car rides and trips or vacations. I have a captive audience in the car. haha. Actually, my kids really love listening to these too. It's become a tradition when we take a road trip. I hope every LDS youth will be able to listen to this talk. It will bring new light to the youth theme for the year. It's fantastic. * What does embark mean? * How do you serve Him with all your heart/desires? * How do you serve Him with all your might/determination? * How do you serve Him with all your mind/intelligence? * How do you serve Him with all your strength/energy? This CD will instill a desire to help you "get on board" and stay on board for many people and things will persuade you to dis-embark. Listened to this talk on cd and loved it!!! His homour and the way he presents his talks is truly awesome thank you so much for Embark I could listen to this over & over.